I hope this article will help you and we’ll be happy to see you in France. You point out how difficult it is to come on the market. Before starting Brachadair, how did you picture the independent bottling? Did you have a model in mind or did you want to put your stamp on it? I think it’s about what I expected it to be, and I only underestimated the offer of casks: it isn’t easy to find (suppliers of good) casks. Maybe I also thought the profit margin would be a little bigger for the broker (at least equal to what the distributor has) but that’s not a major issue. After all through the distributor you reach a bigger ‘audience’. I didn’t really have a model in mind, or no elaborated business plan; I just had a hobby that I wanted to share with as many people as possible. But of course, to do that, you need to sell bottles. The first business objectives are to have a nice range of bottlings, and a little extra to be able to buy a special bottle for myself every now and then. Everything else is a bonus. Has your opinion evolved since you got your hands dirty? No, it’s only been little over a year, so nothing has changed. What are the different steps when you create a new bottling (from the concept to the sales)? Well, for the moment a lot is determined by the basic range I want to be able to offer first. I prefer the lesser known whiskies, if they offer good quality! Next you find a supplier who has got something you’re interested in and you ask for samples. If you’re lucky you find a cask up to standard; if not: other supplier and/or other samples. And you continue this till you have something you really believe in. What follows is pretty straightforward: place your order, have your labels printed and sent to the supplier, receive your bottles and pay up. But then it really begins: publicity on website and Facebook, send samples to reviewers and bloggers hoping to get some good scores, and start contacting shops and distributors. It’s hard to grasp what your life as a bottler is. Knowing you have a full-time job, what’s your daily routine? I don’t have much of a routine (yet) and I must admit that during the week I don’t have much time to do a lot for Brachadair, except for keeping up with the mail. I try to make up for that in the weekends and up until now that has been enough. It would probably evolve a bit quicker if I were to spend some more time on the whisky business but for the moment that’s just not possible. You also exhibit in whisky festivals whereas we often find ourselves in front of stands held by commercials, who are more or less competent. Does this direct relationship play a prominent role in your eyes? What’s the bottom line for you? I love whisky, I love selecting casks and seeing that others like your choice as well. I’m not very commercial, but if you don’t sell your whisky your ‘cask selecting days’ will soon be over. So I think it’s necessary to attend festivals, to be seen and heard by the whisky buying public and I like to do that every now and then. But being a young and small broker, new to the market, attending festivals is rather expensive. So, first priorities are getting an excise number and/or a bonded warehouse, selecting a fourth cask and trying to make some connections abroad (France, Holland, Germany … and beyond). Maybe you can help a bit here and get us invited to France …? When you introduced yourself as a new independent bottler, for the first time in Scotland, how were you received by distilleries pros? Since I started with Brachadair I’ve only once been to Scotland, together with 14 other members of the whisky club I belong to. I’ve taken the opportunity to put the Brachadair Arran next to several market house bottlings in the distillery tasting room, and it was well received by our members and by the distillery. But I hope in the future I will have the opportunity to go to Scotland on a regular basis and meet some more whisky professionals. The European economy is currently quite unstable. The whisky world, as well as the bottling world, is ultra-competitive. Weren’t you afraid of this challenge? We knew it wasn’t going to be easy but afraid isn’t the right word: since this isn’t my main activity and the financial impact is rather small, the risk is limited. Maybe your experience will make some people want to try their luck. What advices would you give to a wishful independent bottler in 2014? First make sure you have a solid supplier base. I didn’t and I’m still struggling a bit. A more difficult issue, without getting into your account books: how can a new bottler survive financially (bearing in mind you are three involved in this project)? Again, this is not our main activity and the financial impact is rather small. The goal has been from the beginning to grow slowly but steadily and to reinvest our earnings in new casks. I can imagine it’s a whole different ball game if you go all out and have to make a living from it from day one. It’s not something I would advise, which doesn’t mean it’s impossible. It all depends on the quality of casks you can get hold of. Among trading companies, there are historical colossi (i.e. : Signatory Vintage, Gordon & MacPhail, Berry Bros. & Rudd, Douglas Laing, Duncan Taylor…). Sometimes, do you look at yourself in the mirror, picturing yourself as David against Goliath? I’m just jealous I don’t have their range of casks to select from. I think if you start comparing yourself with the big ones, you get frustrated very quickly. The Scottish hegemony on the independent bottling seems to belong to the past. We witness the emergence of specialized countries: Germany, The Netherlands or even yours: Belgium. Do you think that the fiscal conditions are solely responsible for this situation? I don’t think that’s the only reason … but this being said, if Scotland turns independent we could see a change in fiscal conditions, and all of us smaller indies might disappear quickly. Offer is increasing, borders are fading and whisky has become a global product. However, consumers feel more and more like hostages to market prices, to speculation, besides the abiding price increases. Do you think whisky is doomed to be an elitist product or is this a passing fancy? It is a bit too much an elitist and investor product in Asia and Russia to my taste, and it makes it difficult for us amateurs to be able to afford the special, older bottlings. I was hoping the new hypes of rum and gin would make for a shift in attention. But if it’s happening, it isn’t really showing yet. It seems like, for some time, there are less and less highly rated distilleries, regardless of who the bottler is. Do you think it’s because of distilleries that keep their casks or a conscious choice made by bottlers? What is less highly rated distillery? If Port Ellen was such a good distillery as you could conclude from the prices you have to pay for a bottle, then why did Diageo close just that one? And why is there so much stock left. 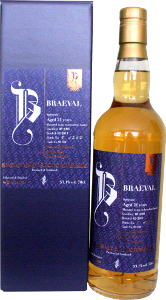 And look for example at Braeval : not well known, no markethouse single malt bottlings, all is meant for the blends but still some beautiful independent bottlings, surprising most whisky connoisseurs. I do think distilleries sell less and less casks to be bottled by indies, and they offer more and more ‘special’bottlings themselves. You did 3 bottlings in 2013, that were quite well received by the community. Are the rates given on the Internet important to you? I always admire the whisky reviews where connoisseurs describe everything they smell and taste in a whisky. I’ve never been good at that. I smell and taste the whisky, preferably twice at different points in time, and decide whether I like it or not. If you have samples of similar casks you have the luxury of being able to compare. Thus far I think I’ve made some good choices, but since ‘les goûts et les couleurs ne se discutent pas’, I might be the only one liking Brachadair’s next bottling. This being said, good reviews and ratings are important and can help you a lot. Your Braeval 21yo was released under your banner while the Arran and the Laphroaig were released under the one of A.D. Rattray. Can you explain why? Simple : last minute decision because of cost and time. It was cheaper and faster to have ADR put their labels on the bottles than our one. But, looking back, I think it was a mistake. If you only have three bottles and two of them don’t carry your own label, visibility is low. How did you choose A.D. Rattray? Did your collaboration go well? As I said before, it’s not easy to find suppliers that will put your label on a bottle. But collaboration went well, and it’s certainly possible I will work with them again. We have to be curious. Do you already know your next bottlings? To finish my basic range, I have to complete the panorama of Scottish whisky. For the next three or four bottlings, the regions are known. Within the region I have preferences, but what you want and what is realistic are often two different things. [divider] Everyone has his preferences as far as tasting a Single Malt dram goes. What about you? Do you have a ritual? Not really : as most people I will smell first, taste preferably at cask strength and will only add water if I think it’s too strong. I’m not good at recognizing smells and aromas, but I know what I like. So my tasting routine is rather simple : smell, taste and preferably compare to other whiskies so I can give a relative score in stead of an absolute one. To finish, do you have in mind an outstanding malt, the one you’d bring (almost) rather than your survival kit along a desert island ? I’ve tasted some fantastic whiskies in the past 25 years, and often these were great not only because of their smell and taste but also because of the circumstances I drank them in. Drinking the same whiskies again sitting alone in my living room probably wouldn’t be quite the same although it would still be the same great whisky. That’s why I would take our Braeval: not only because I think it’s a great whisky (I think it is but there are better ones) but because I’m proud of my ‘baby’, the first real (with our label on the bottle) Brachadair single malt whisky. 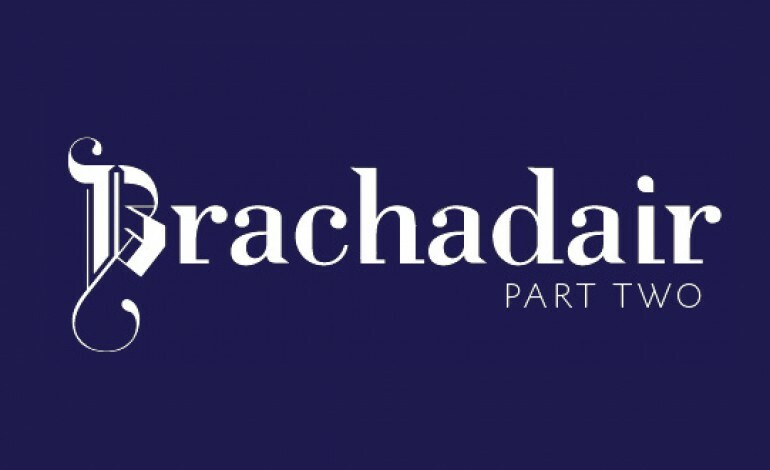 Thank you very much Patrick for your time and we wish you a great rest in your adventure with Brachadair.